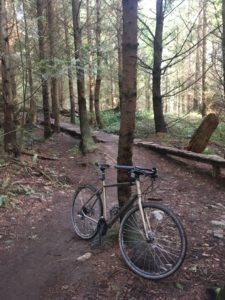 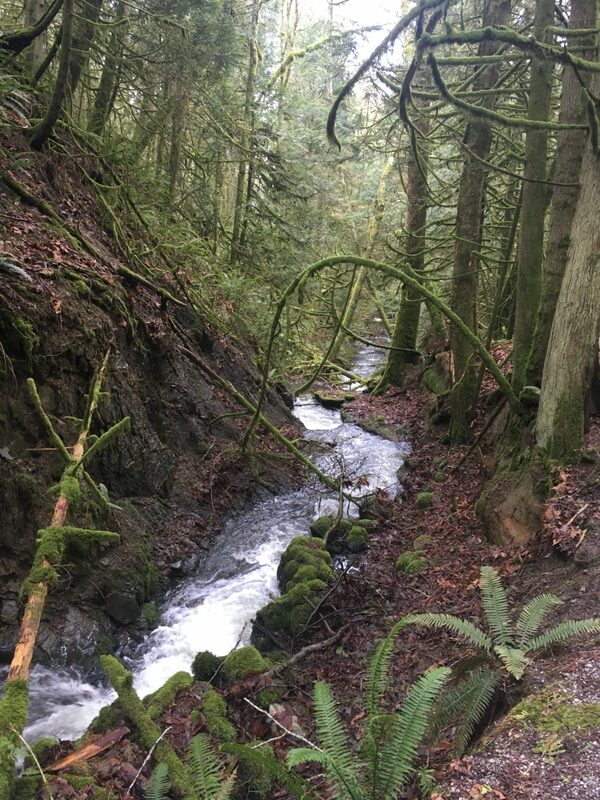 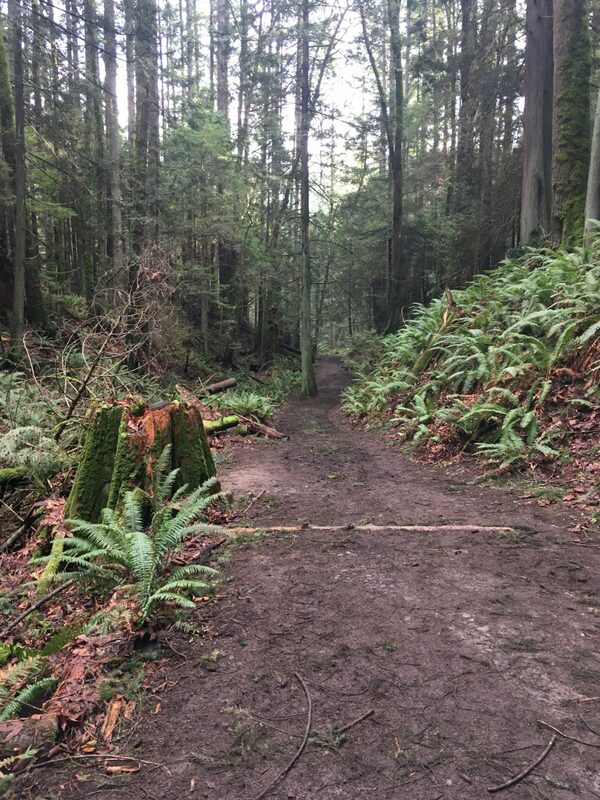 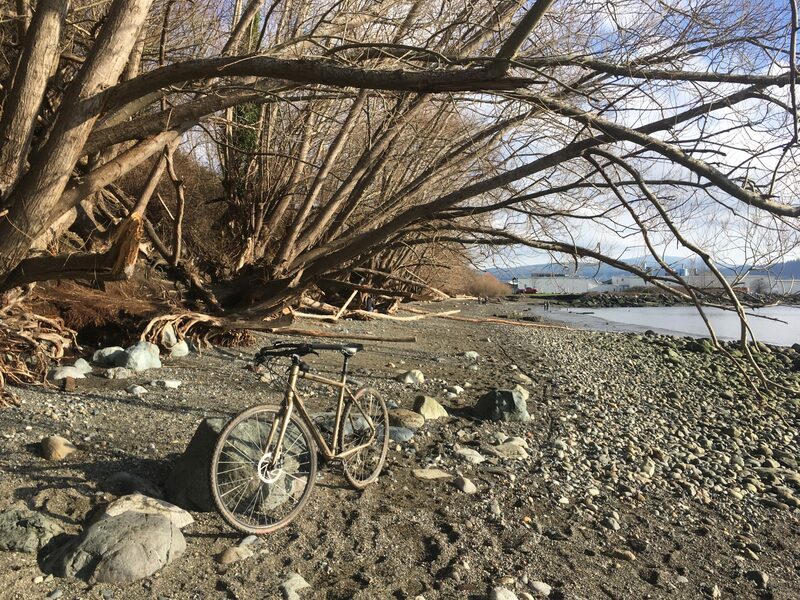 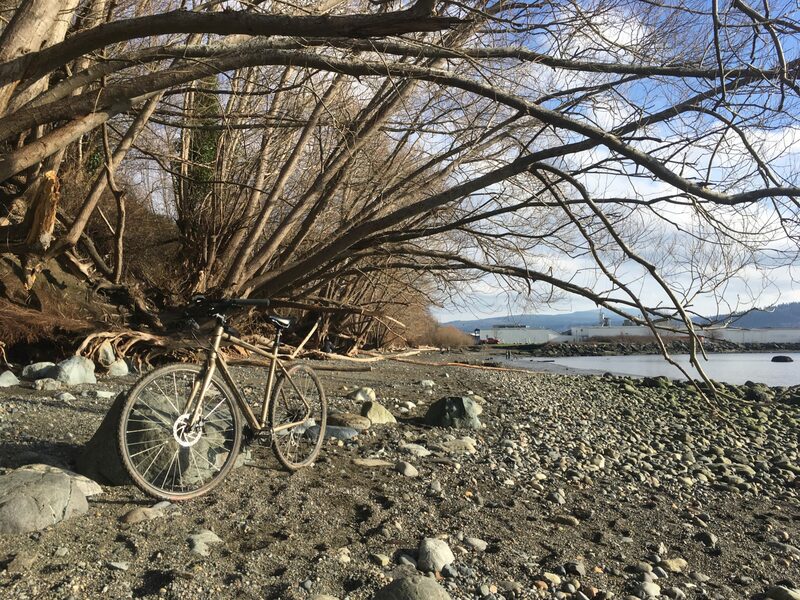 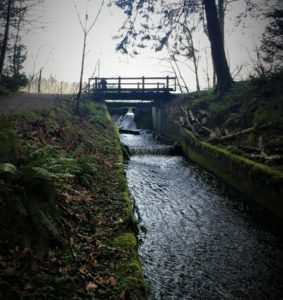 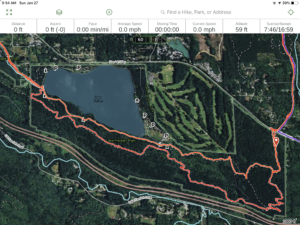 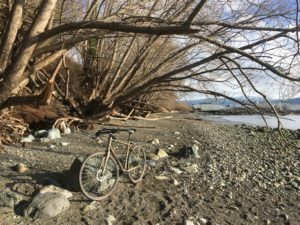 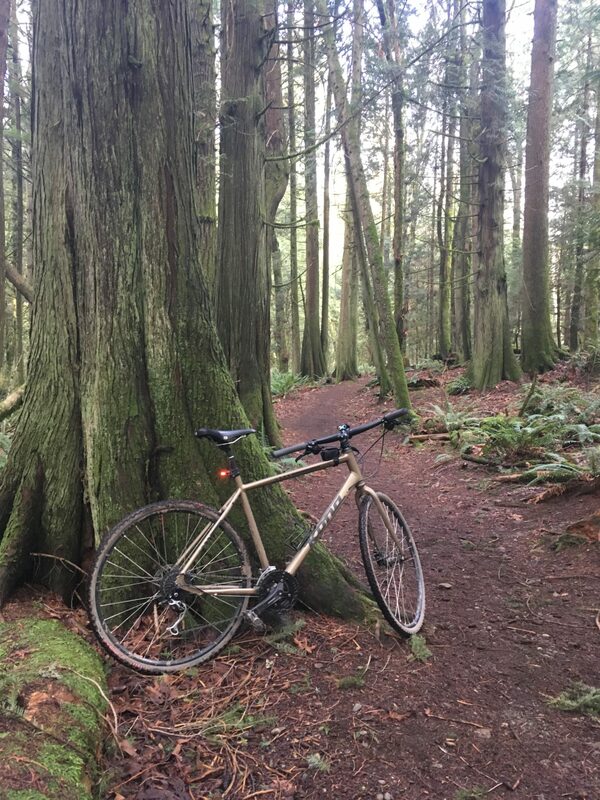 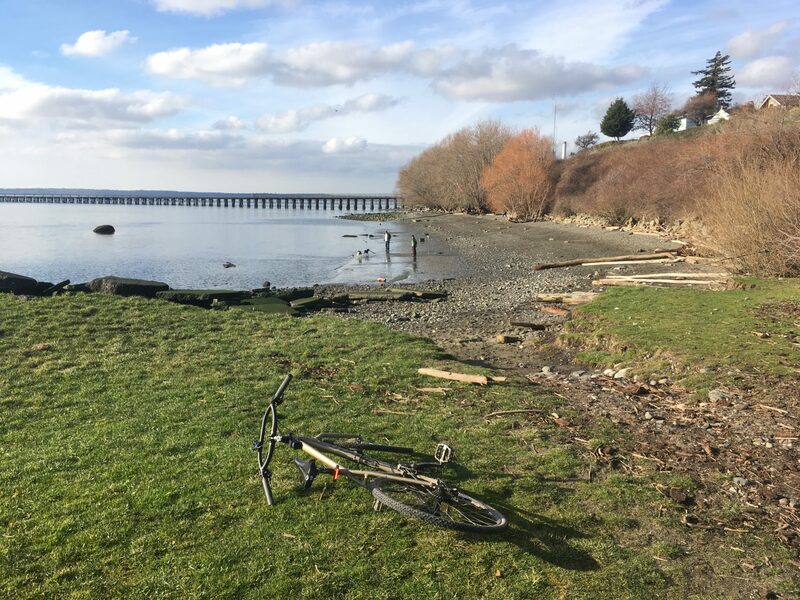 A couple of weeks ago I kicked off what looked like Spring ‘19 with a 40 mile loop that essentially rounded Bellingham, hitting iconic locations like Whatcom Falls, Galbraith, Padden and Boulevard Park while also extending up to Hovander Park in Ferndale. 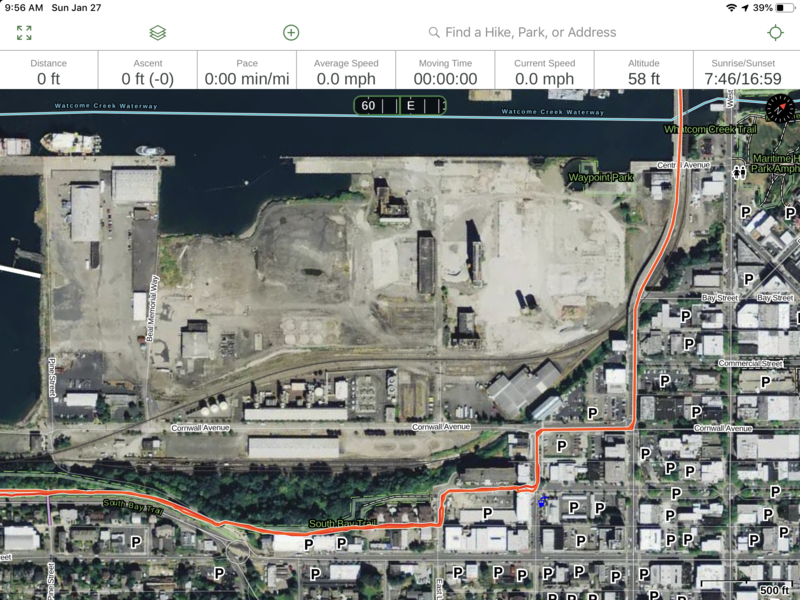 Enjoyed the heck out of that ride, but felt like a few revisions could be made to the loop. 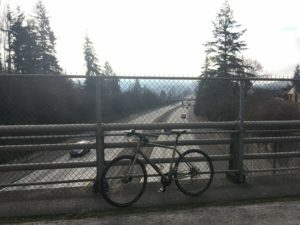 I wanted to make the route as much on trails or good bike routes as I could, leaving all the Hannegan/Woburn traffic out of the plan, while also adding in a few more parks if I could. 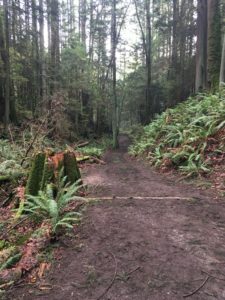 I also wanted to route around some of the boring pipeline road that I took through Galbraith as well as avoiding some of the strolling traffic around Padden by keeping to the outer loop of more primitive trails. 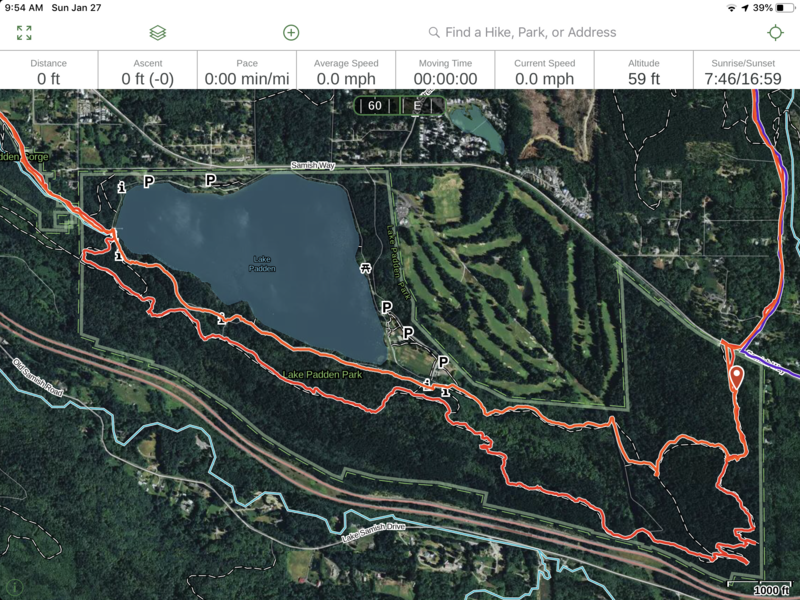 In the process of making these changes I also ended up dropping more than 17 miles off the loop by eliminating Nooksack, Hovander, my driveway, basically Ferndale, from the loop. 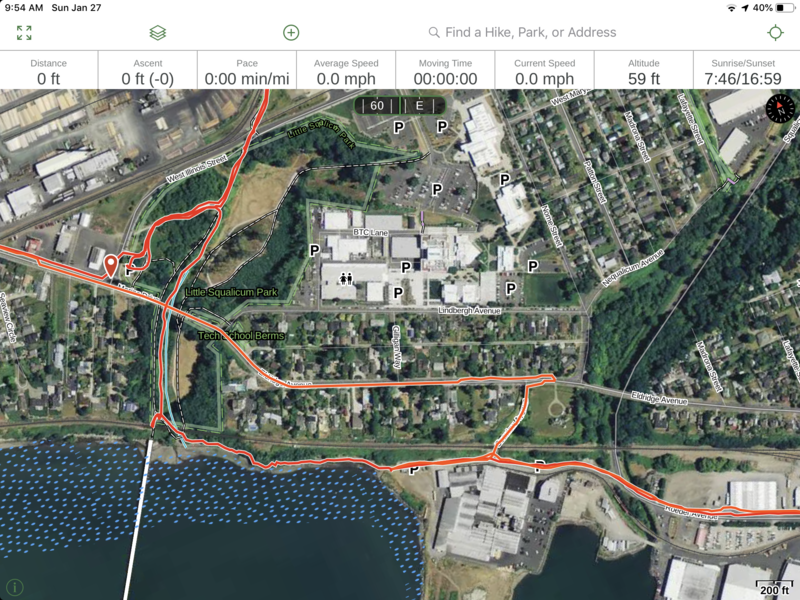 I guess that makes this first revision of the loop more of a circumnavigation of Bellingham, but it’s really tough to consider Hovander in a loop when there is really just one entry/exit trail from the park. 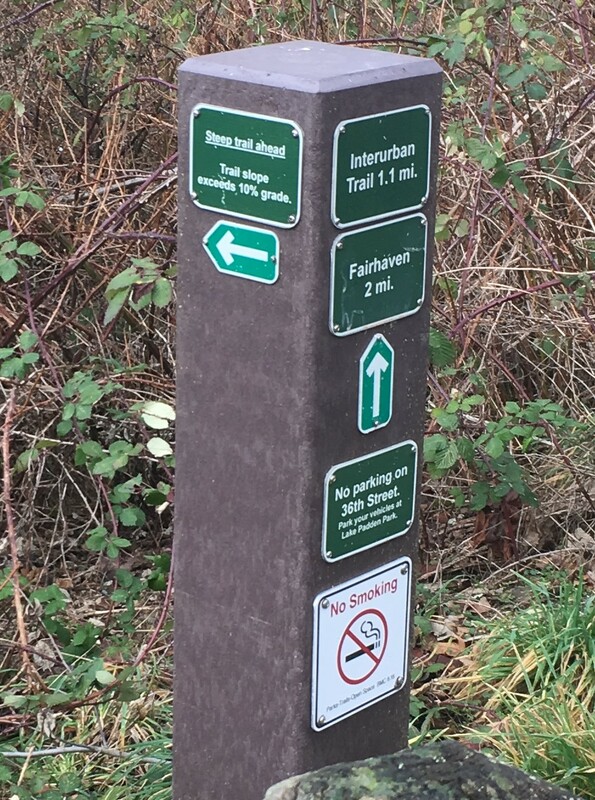 Take Illinois east, enjoying this limited access road that favors bicycles. 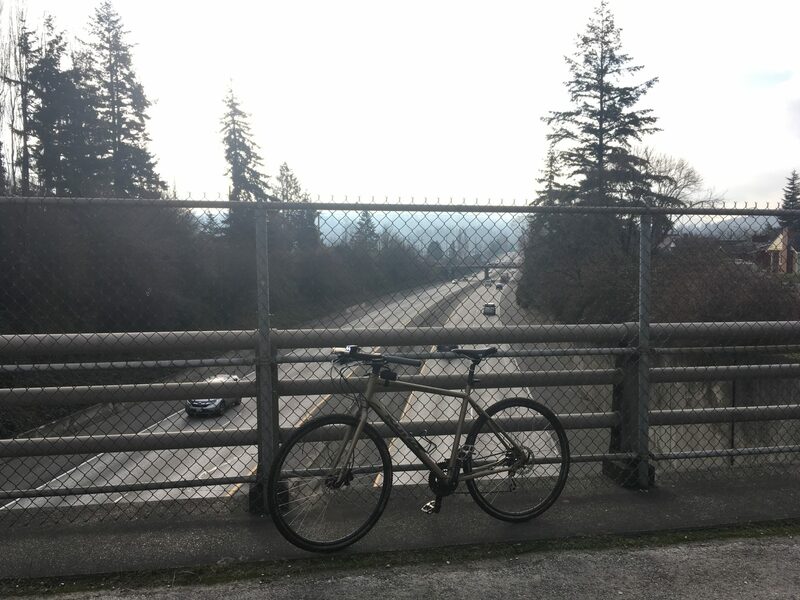 Ride through Memorial Park and crossing I-5 on the southern of the two pedestrian bridges. 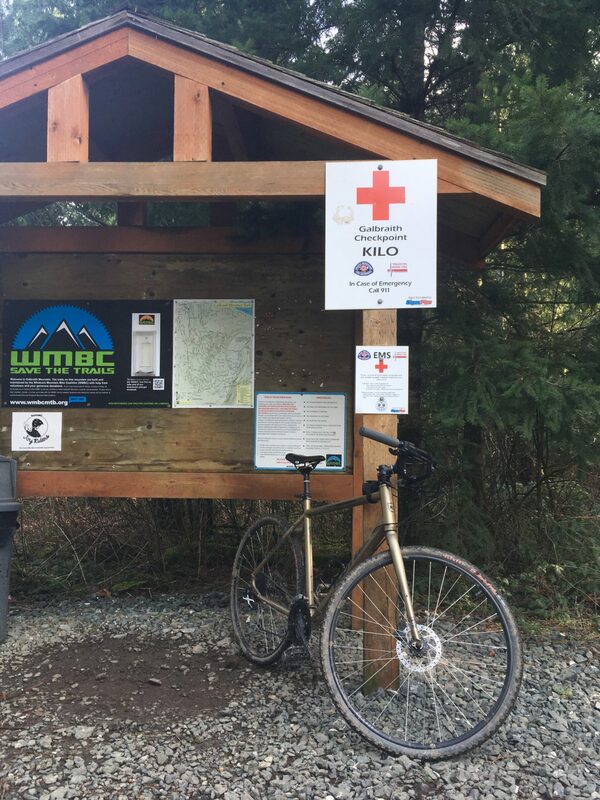 Continue riding the Railroad Trail as it winds it’s way up to Whatcom Falls. 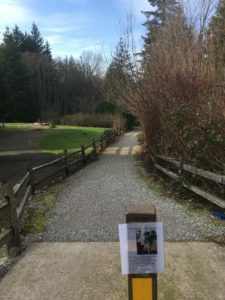 Ride through Whatcom Falls exiting the park on Birch St continuing across Lakeway and continuing up Birch to the entrance to Galbraith. 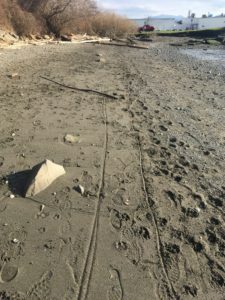 Rather that the obvious gravel road, take the less obvious Cedar Dust Trail which begins on a little hump up off to the left. 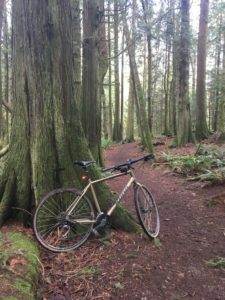 I took the beginner trail down to the power line where I took a left, riding the power line southish and exiting along Galbraith Lane. 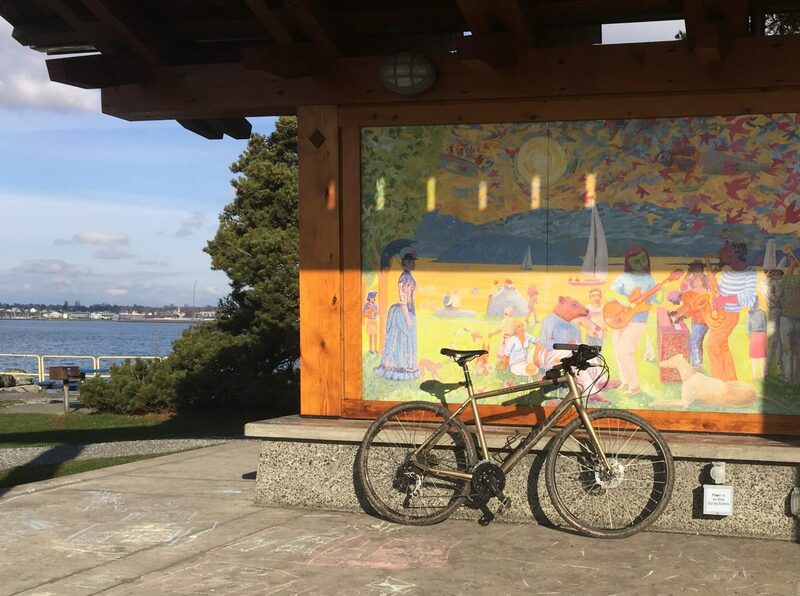 Cross Samish Way and access the Padden Trail network by riding through the parking lot, taking the trail up to the left. 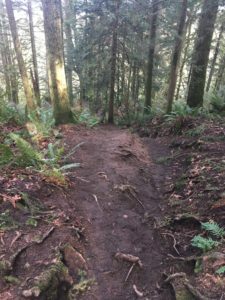 The back trails meet the groomed path on the west end of the lake, take a left after crossing the bridge over Padden Creek and coast the nice path down to 36th. 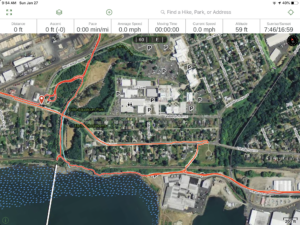 Follow 36th and find a little path on the left that drops you down onto 34th, then follow 34th until you turn west onto Connelly Ave, which becomes Fairhaven Parkway. 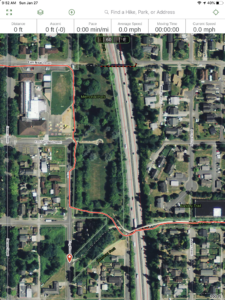 Keep on Fairhaven Parkway all the way to 10th where you will follow the road to the left and keep on 10th until it empties you onto an obvious path just past the Fairhaven Village Green and Ovn Pizza. 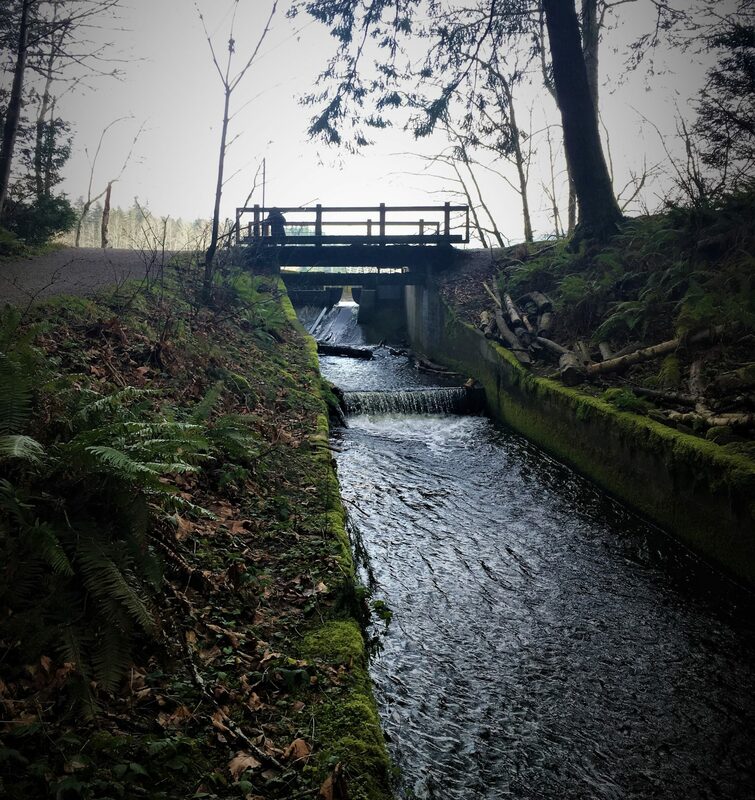 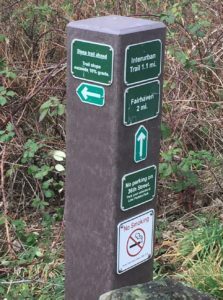 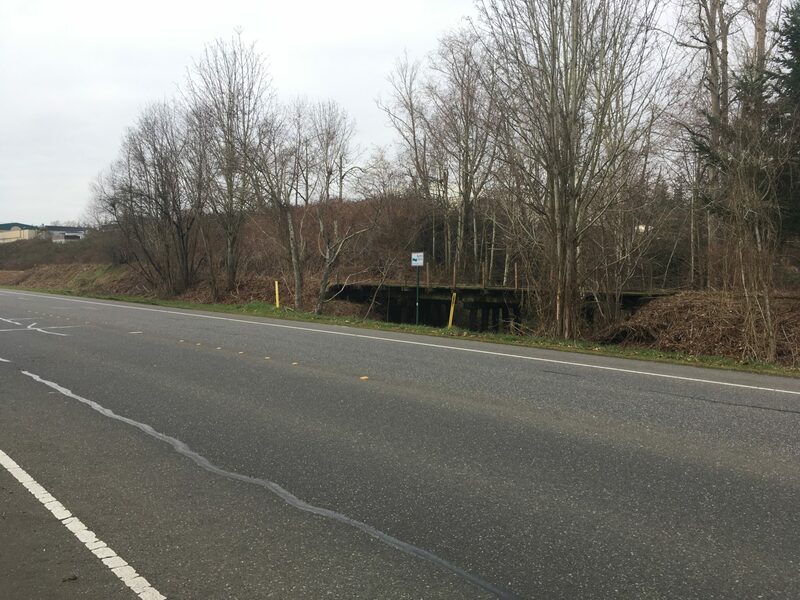 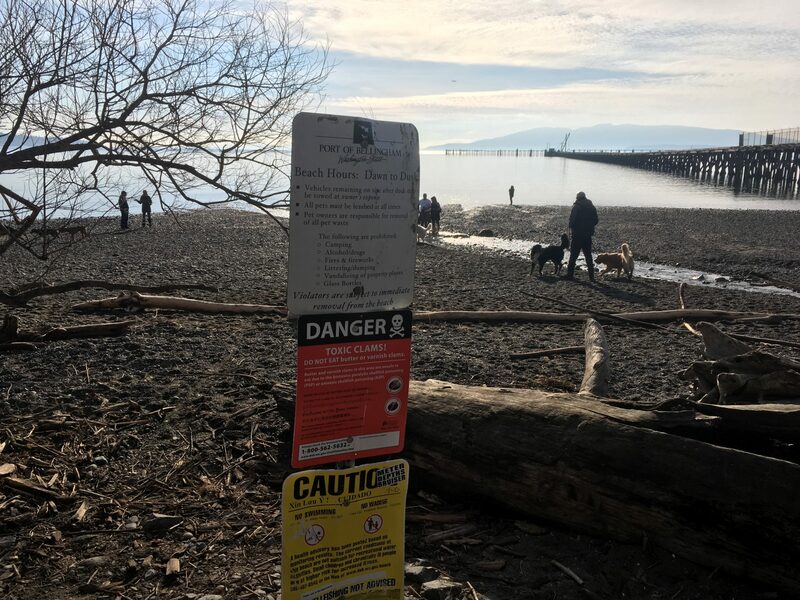 In town you will take a couple of jogs to the left following E. Laurel, Railroad, Maple, Cornwall, and then left onto W. Chestnut St./Roeder Ave. Bellingham’s new Waypoint Park will be on your left just before you cross the Whatcom Creek Waterway. 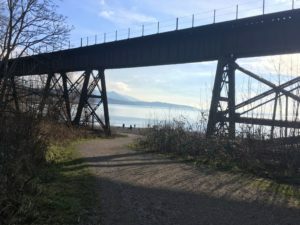 From Squalicum Beach Park I did a short hike-a-bike along the beach to catch the trail just under the railroad trestle. 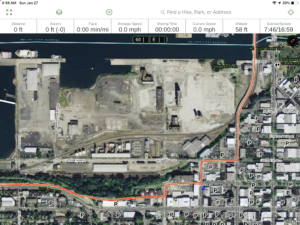 (this section would make a nice trail, should the Port of Bellingham see fit to build one) . From the trestle ride up the path to the left, and find yourself back at your beginning. 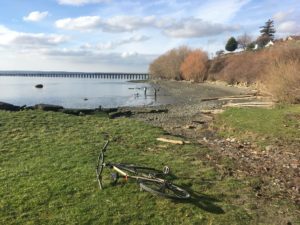 If not the beach walk then riding/pushing up Seaview Ave and north on Eldridge will put you right back at Little Squalicum Park. Perhaps the beach walk will be a path someday, although I didn’t see it in Bellingham’s plan for this area. 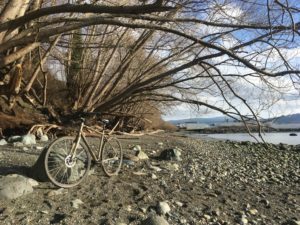 That was rev A, certain to be a rev B though. 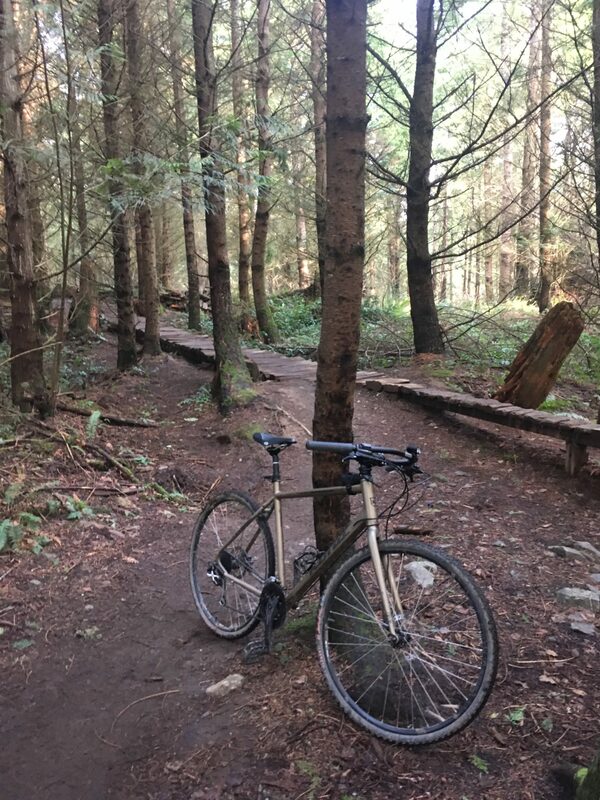 Most of this was good, however the back trails, especially wet back trails, behind Padden were a bit much for my Kona Dew. 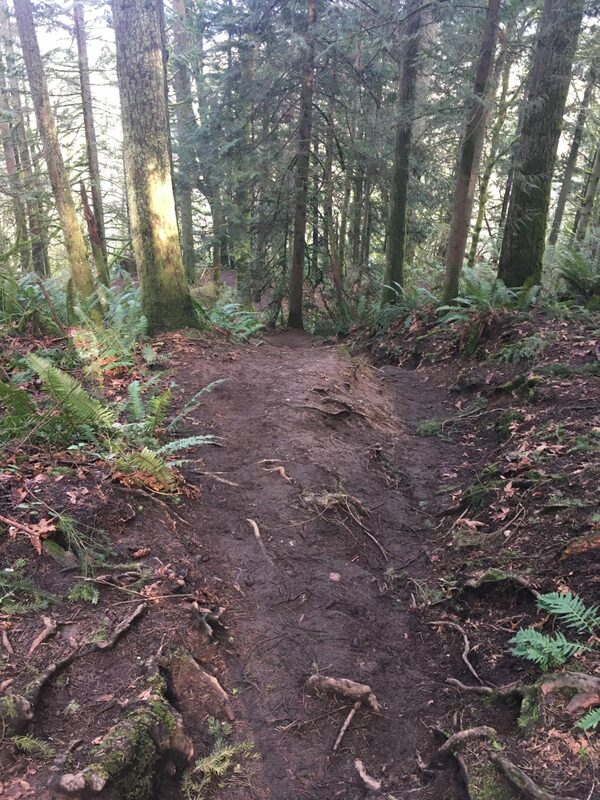 The lack of suspension and the skinny tires made many sections of these trails more of a hike than a ride. 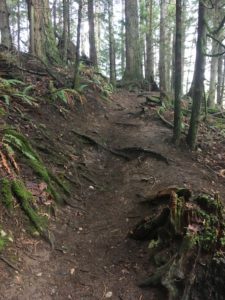 Perhaps more doable when the trails are dry, but maybe I’ll just deal with the crowd along the main path surrounding the lake. I think adding in trails like Family Fun Center and Art’s Trail on Galbraith would be a good trade for time vs. the back trails on Padden. Another rev B change might be adding back in the Nooksack and Hovander into the loop by riding on the wide shouldered Northwest Drive rather than hitting Hannegan/Woburn. 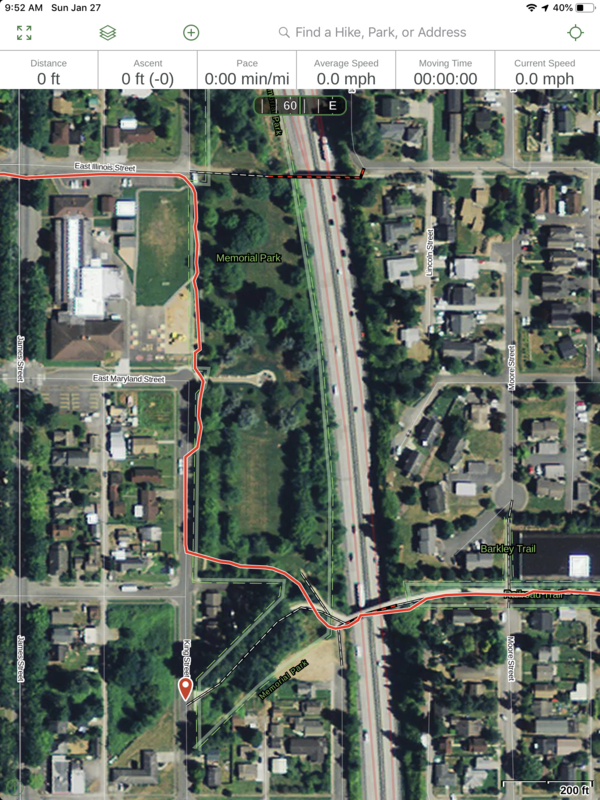 And the last rev B change I forsee is stopping for a coffee at Woods in Boulevard Park. 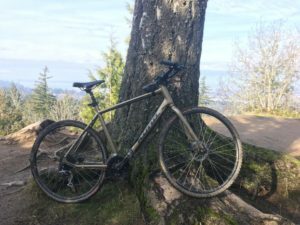 This rev A ride was also the first real ride that I’ve done on my new Jones Loop H-Bars. 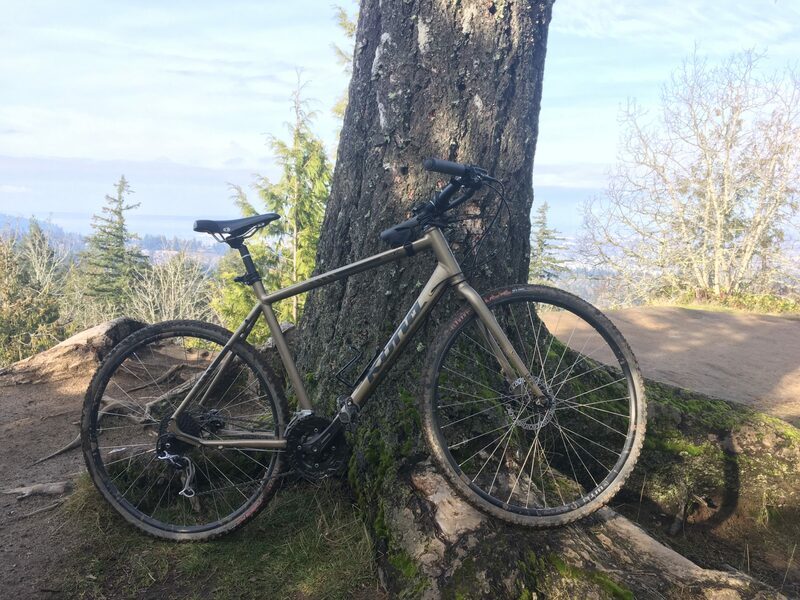 First impression was that I like them, but more on them after I have at least a hundred miles or so on them. Walk the beach, or take Eldridge. 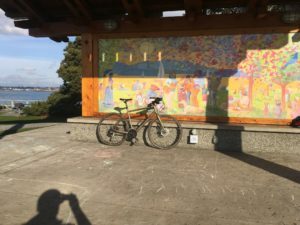 At least one other biker was here.